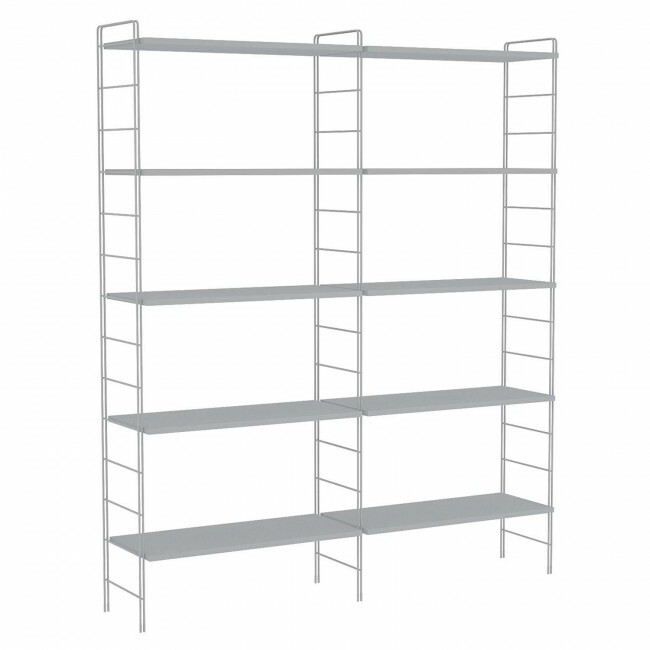 Link Living is a wall modular bookcase which can be used as a partition as well, available floor standing or fastened to a wall or ceiling. 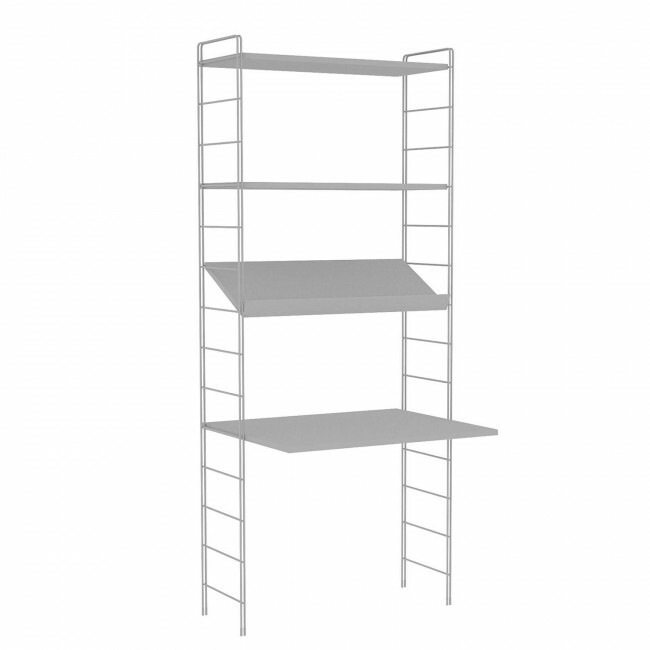 Structure in metal and shelves in wood create a minimalist bookcase, coming with simple and essential lines but with a great potential of composition. 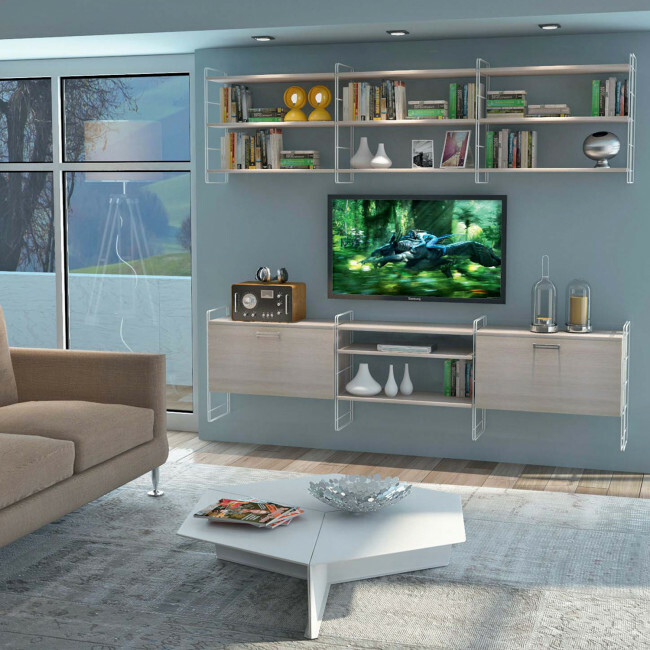 The bookcases shown here are designed to furnish modern living and dining rooms, offering enough space for books, magazines and decorative objects other than storage units and desks or peninsula tables. 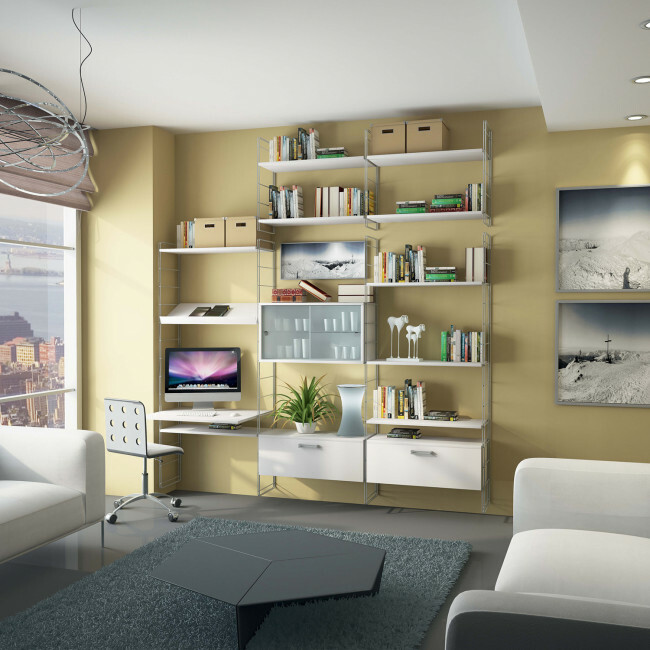 The bookcase with desk is a great solution for the furniture of a small living room where you want to include a home office area. 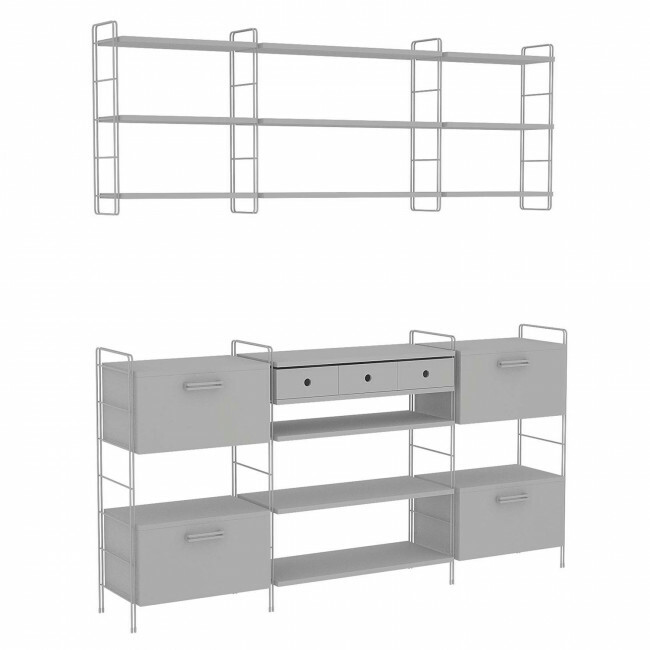 The storage units with drop down or sliding doors can be placed wherever you want, in this way you can create wall modular bookcases that work as wall systems too, for objects like dishes and glasses. 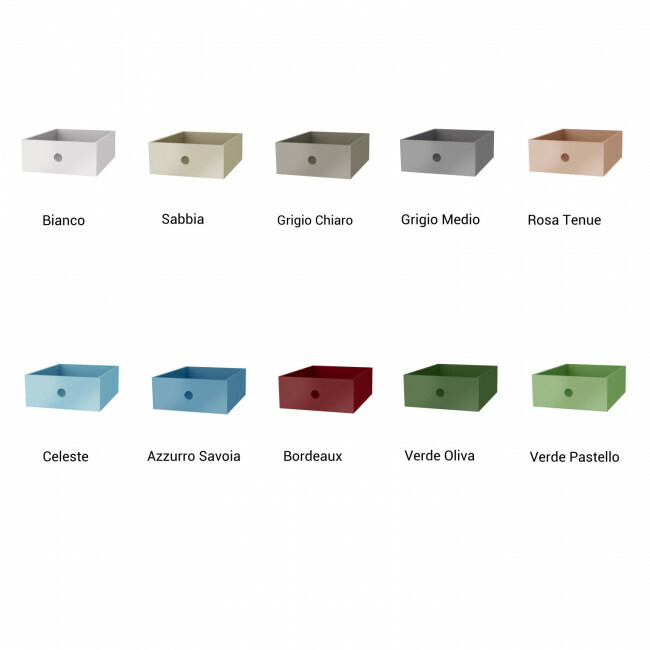 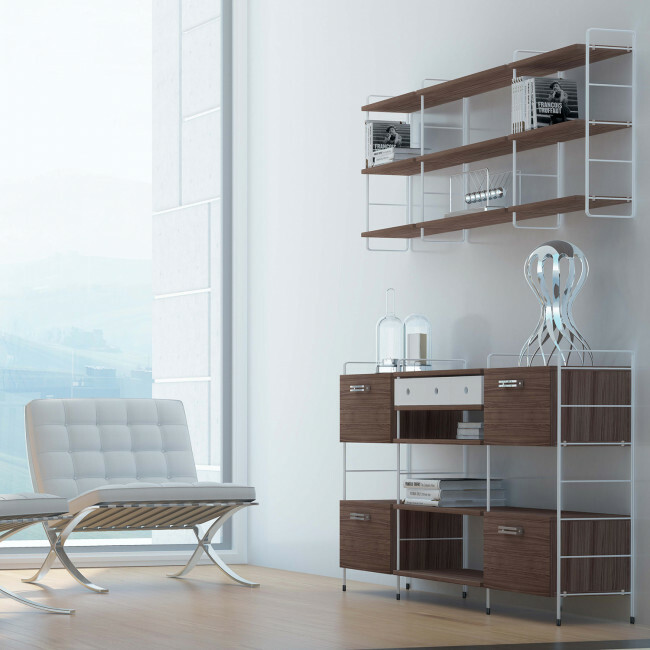 The wall bookcase can be discreetly used in every environment, adapting to the spaces you have available and ensuring a high customization in terms of colours and combination with the other furniture pieces. 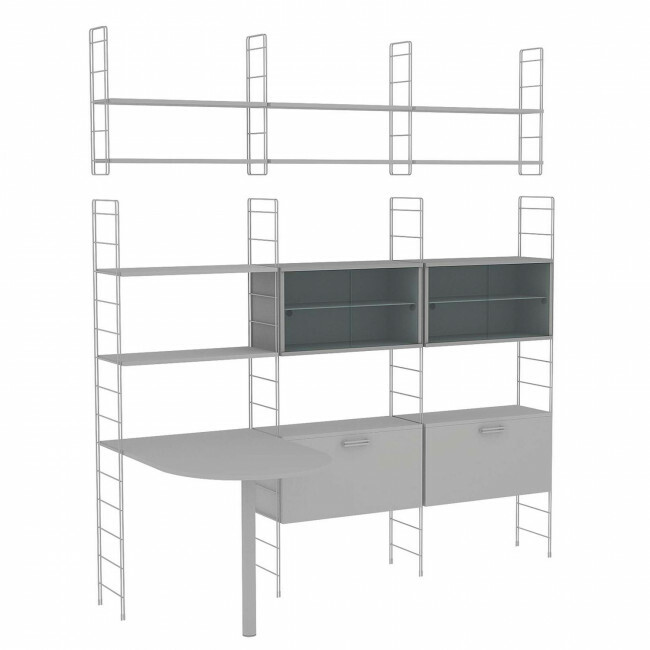 The partition bookcase is the perfect solution for an open space: kitchen and living room will be separated by using at the same time both sides of the composition. 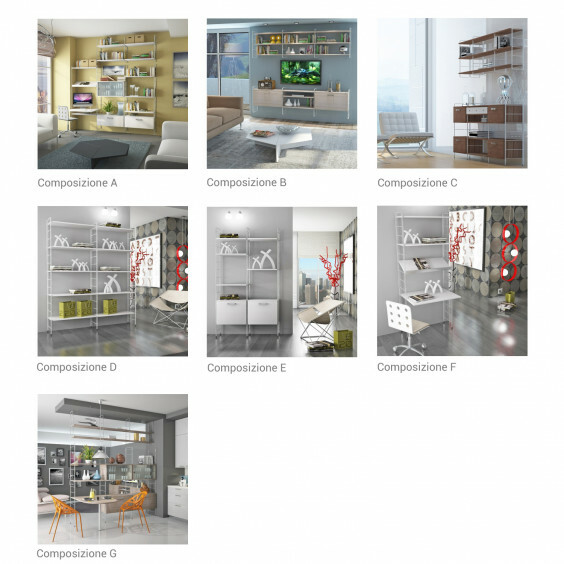 In addition to the compositions found in this page, with Link Free you can create your own customized solutions or expand the ones already present. 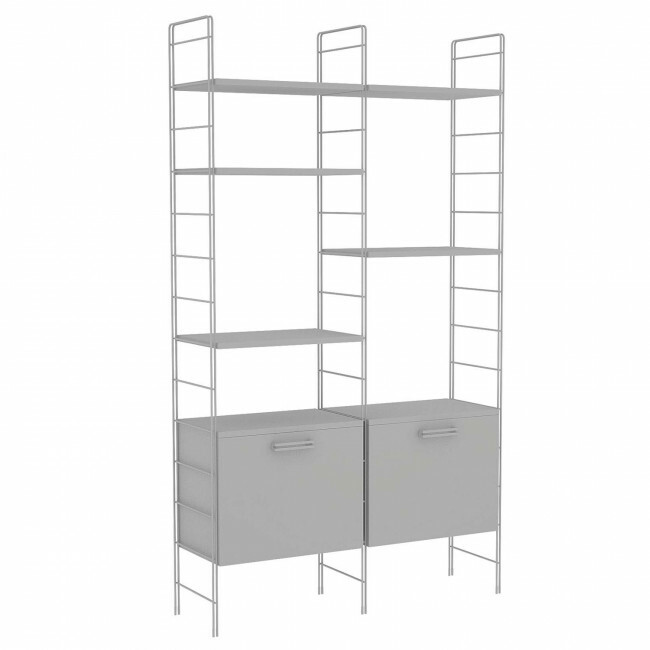 Link Living is a wall modular bookcase, also available standing on the floor. 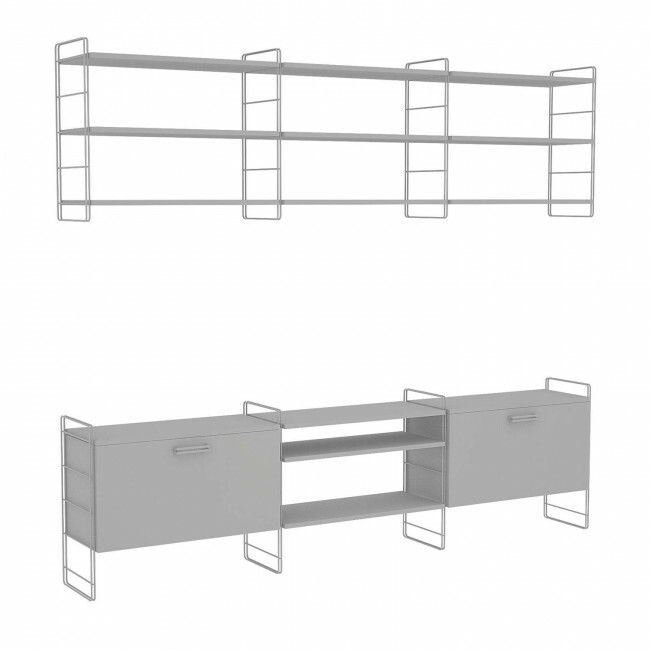 It is available also as a partition, wall or ceiling mounted and floor standing. 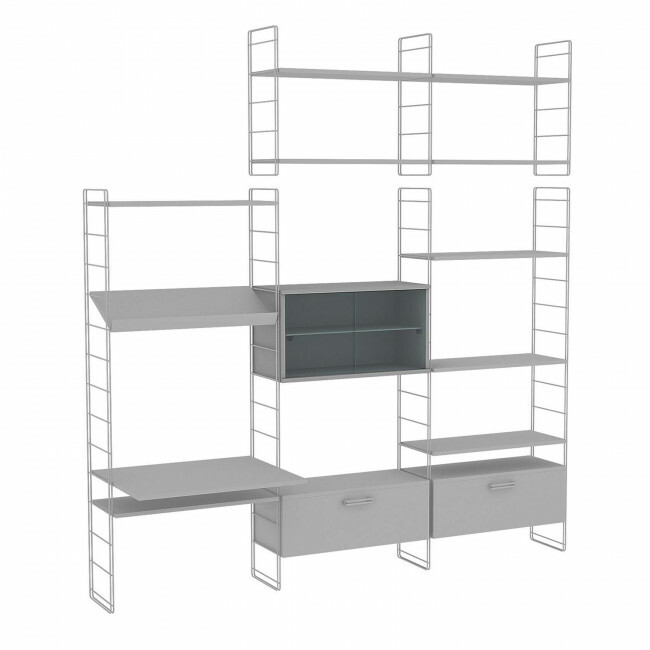 It belongs to Link collection: a modular system with columns available in different heights and equipped with shelves in different widths. 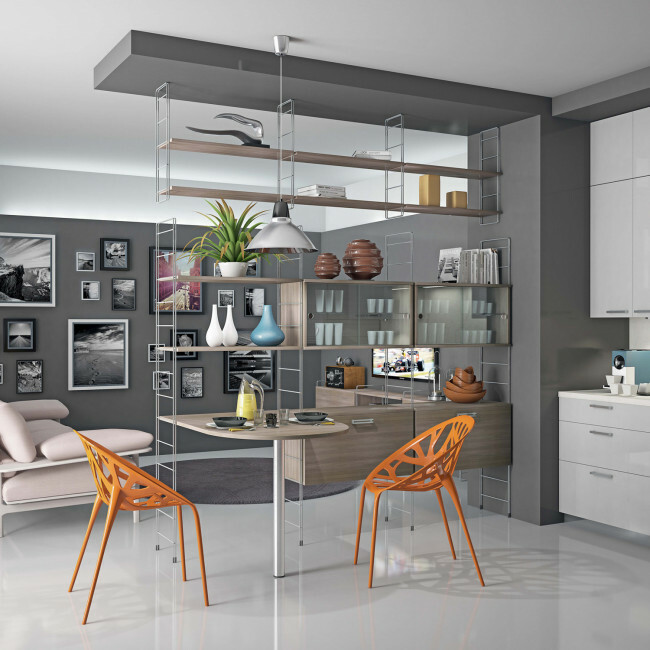 Link Living can be placed fastened to a wall, wall hanging with joint on the ceiling, in the middle of the room as a partition wall.